This is a guest post from my friend Julianna. She is the founder of The Simplicity Habit, and she has a lot to share about decluttering and minimalism. Thank you, Julianna! Decluttering is a deeply personal process. We can watch a show or read a book and there will be certain approaches that make sense to us and other ones that don’t. There is no one size fits all approach in decluttering. I’ve read quite a few books on this subject and will share the four I found to be the most impactful. I’ll summarize each of their methods and talk about the pros and cons. Pick and choose what you think will work for you to effectively declutter your home. The first book I read on decluttering was, not surprisingly, Marie Kondo’s book. 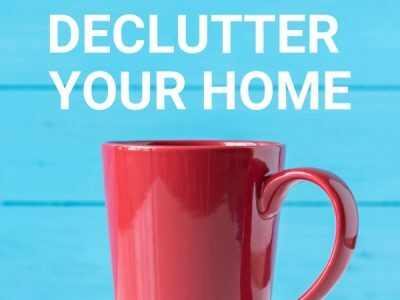 While it didn’t all connect with me, there were various aspects that made a lot of sense and her book (and her show now too) has helped a lot of people effectively declutter their homes. Starting with your clothes may not be the easiest entry into decluttering. I typically recommend beginning in the easiest room and working toward the most difficult. The last category, komono, is vague and encompasses many different things. For people who need or prefer concrete steps, this method may feel like it lacks direction at this point. If you don’t have large blocks of time available in your schedule, the KonMari method may not be for you. Sorting through all of certain types of items will take while so be prepared for that before you pull everything out and put it on the floor. Getting everything out when working in a closet, garage, or storage area is beneficial. It can be easy to leave boxes that haven’t been touched in years and continue to do so. Likewise, it can be easy to assume everything on a shelf is being used unless you take the time and effort to take everything down and look through it piece by piece. Getting everything out will force you to make decisions. Grouping by type allows you to see the amount of items you have in a particular category and makes is easier to eliminate duplicates. While I like the question of whether or not certain items in your home ‘spark joy’, I don’t think it is the be all end all of why you should or shouldn’t keep each item. It is an emotionally based question. Does my can opener spark joy? No. But should I still keep it? Yes. I prefer the questions do I love it and do I use it, which I talk about in figuring out what clutter is in your home. I also am an advocate for assigning everything a home. One of the causes of clutter is not knowing where an item belongs. If you assign it to a particular space, then you always know where it goes. Kondo’s method for organizing is wonderfully simple. I love that she reuses boxes and doesn’t do anything complicated or expensive for storing items. I also like that she focuses on being able to see what you have. This book is a room by room guide for decluttering your home. Joshua begins with easiest spaces to most difficult to declutter. His reasoning is that you need to work up your decluttering muscles and you will get more confident as you go. I would advise the same thing. You can use that momentum to move on to bigger and more challenging spaces to declutter. His list is just a generic suggestion so if you know other rooms will be difficult for you, switch the order around to suit your needs. I found it surprising that he ended with the yard, which wasn’t even an area I had considered before. Becker emphasizes thinking through the purpose of the room before and during decluttering. For instance, the purpose of a guest bedroom is rest, so take out everything that doesn’t align with that purpose. No more using spare bedrooms as additional storage spaces. Becker’s book is one of my favorites and provides clear direction on how to effectively declutter your home. Cass Aarssen, also known as the Clutter Bug due to her youtube channel, has a unique perspective on clutter and organization. Cassandra refers to herself as a slob who has learned how to deal with clutter and organize over time due to necessity. She has now helped countless people with their clutter as a professional organizer. Cassandra suggests first going through the whole house with a garbage bag and getting rid of all the trash. Her book is less methodical in how you approach each space, but it is freeing in knowing that 15 minutes of decluttering per day consistently will help you reach your goals. The SPACE method is used by many professional organizers. You first sort items, then purge what you don’t want, assign a home to each item, contain everything you are keeping in appropriately sized baskets or containers and then evaluate if you’re satisfied with what you have left or need to purge further. Cassandra focuses on organization more than the other books mentioned. She even includes a quiz to find out your organizational style. Cass teaches you how to declutter and then create organizational systems that will work with how your brain works and how your home functions. Dana White, also known as A Slob Comes Clean, due to the name of her blog, writes in a very humorous and direct way. This book is great for people who would describe their homes as very messy. Dana’s approach is geared toward people who have no natural bent toward organized and clutter-free living. If you feel like you are at the opposite end of the spectrum, her no-nonsense book is a great place to start. Dana starts her decluttering process by working on all of the visible spaces, which is typically flat surfaces. Think counter tops, the top of furniture, etc. Decluttering those areas has an immediate impact and helps energize you to continue with the process. Similar to Cassandra’s approach, Dana suggests decluttering in any increment of time you have available. She challenges the reader to see what they can accomplish in even five minutes. In Dana’s decluttering approach she instructs the reader to only touch each item once and immediately make a decision to trash, donate, or take it to where it belongs. She also suggests moving from easier to more difficult as you go. Once you get past the obvious things that need to go, ask the following 2 questions about each item: If I needed this item where would I look for it first? Now, go put it there. And if I needed this item would it occur to me that I already had one? If the answer is no, donate it. Dana talks a lot about using containers to limit your belongings. It is a way to self-impose boundaries and make sure you stay within your clutter threshold. If you are unable to manage your things, you have exceeded your clutter threshold. Working with clients and in my own home, I have seen parts of each of these processes that work well for people. For the closet, I like Kondo’s method of taking everything out to evaluate it. That is helpful in creating a wardrobe with clothes that work for you. For a comprehensive guide on how to declutter your home, Becker’s book is very methodical. I created a Declutter Plan of Attack worksheet based on it that you can get for free to help guide you in the process. Both Cassandra’s and Dana’s books are useful in thinking through bite sized ways to approach decluttering. Since they both come from a less naturally organized bent, some may find their books refreshing. Each of these four methods will help you effectively declutter your home. Pick and choose what best suits your schedule, personality, and home. 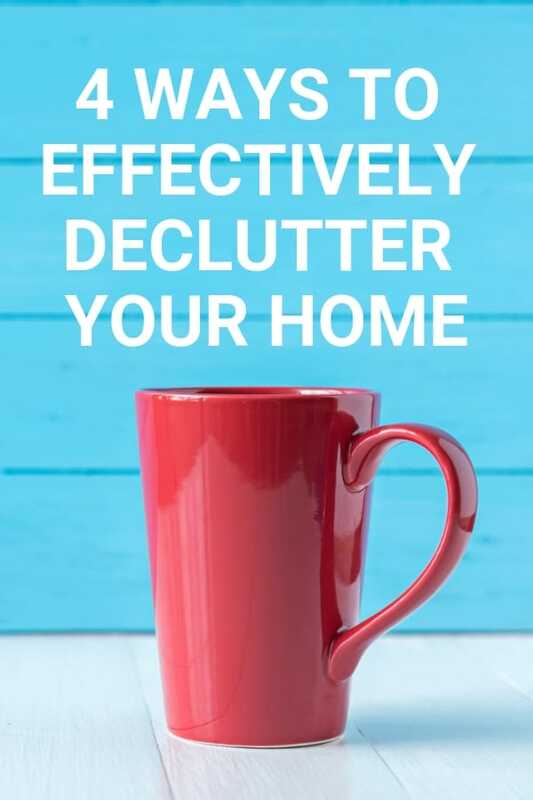 Want to start decluttering today? 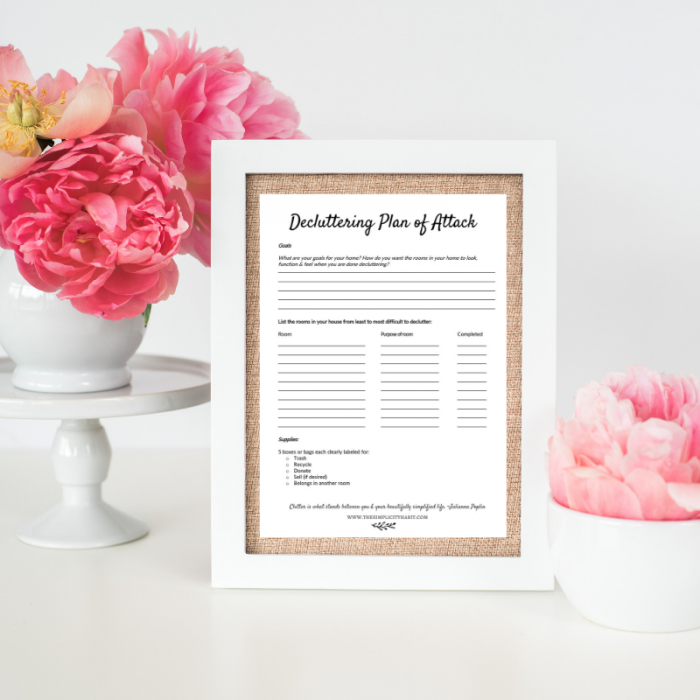 Go here to download Julianna’s free Decluttering Plan of Attack worksheet.